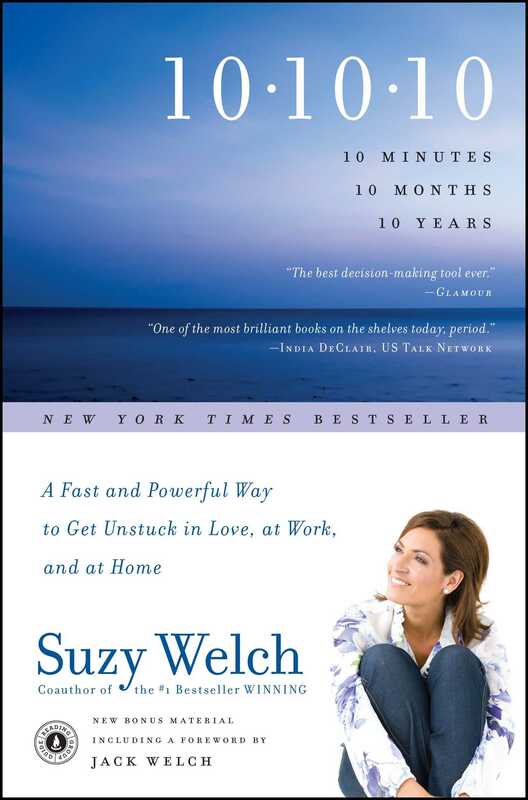 From columnist and bestselling author Suzy Welch comes a powerful, proven strategy for clarifying life choices. We all want to lead a life of our own choosing. But in today’s accelerated world of competing priorities, confounding options, and information overload, we can find ourselves steered by impulse, stress, or expedience. Are our decisions the right ones? Or are we being governed, time and again, and against our best intentions, by the demands of the moment? With 10-10-10, Welch proposes a transformative solution to this pressure, helping us tease apart our deepest goals and values, candidly face our fears and dreams, and rid ourselves of frustration and regret. 10-10-10 has shown its effectiveness in decisions large and small, routine and radical, getting us out of neutral at home, in love, and at work. Across the board, this immensely useful and revelatory idea provides us with the tools to regain control of our choices—and ultimately reclaim our lives.